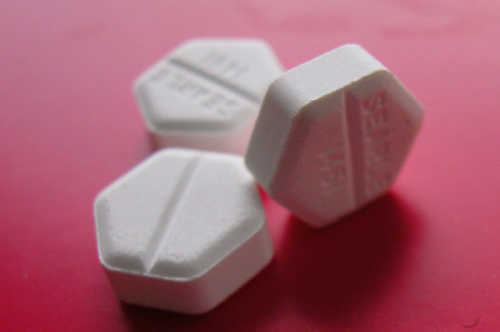 As the use of ‘abortion pills’ in Ireland becomes more prevalent, the country’s restrictive legislation comes under scrutiny. Genevieve Shanahan investigates. Last month, Choice Ireland – a grassroots pro-choice organisation – discovered that 1,216 packages of abortion-inducing drugs such as Misoprostol and RU486 had been seized by Customs in 2009. The discovery was highlighted by TV3’s MidWeek programme two weeks later, which successfully acquired these drugs through the internet. The ease with which the drugs were obtained and the testimony of doctors who are aware of patients having taken these pills suggests that the number of Irish women ordering them is much higher than those seized. Both Choice Ireland and MidWeek emphasised the risks involved in using these unregulated medicines – there is no guarantee of their efficacy, ingredients or standards of production. Furthermore, they are typically meant for use under the careful supervision of a gynaecologist, after consultation with a GP and followed by suitable after-care. But due to the legal status of these pills here it seems safe to assume that the vast majority of women taking them are not in a position to avail of such supports. While some of these online companies are clearly preying on vulnerable individuals in desperate circumstances, others, such as WomenOnWeb.org, seem to genuinely aim at helping women whose only option is to buy these drugs online – making up for the shortcomings of our legislation by trying to render the process as safe as possible. Clearly this is not an acceptable state of affairs, but what the MidWeek programme failed to adequately address were the reasons women have for resorting to these sorts of dangerous measures. The Irish government relies on women’s ability to travel abroad, usually to the UK, in order to obtain abortions. This gives rise to a situated inequality in which those who can afford to travel have the power to obtain an abortion, and those who can’t, don’t. Depending on how far along you are in your pregnancy you would need between €800 and €1000 in order to travel to the UK for an abortion according to the Irish Family Planning Association. For the most vulnerable in society, struggling to make ends meet, finding €800 is basically impossible. Furthermore, every week one spends trying to find the money for the procedure, the higher the cost climbs and the greater risk to the woman’s health it becomes. Those women with uncertain residency status, such as asylum seekers, may be unable to leave the country at all for fear of not being allowed re-admittance, and women with children or other responsibilities often would not be able to take the required time off. This effectively traps women and forces them to take desperate, unsafe and illegal measures. This is the situation that prompted Human Rights Watch to publish a 57-page document on the injustices suffered by Irish women as a result of our restrictive laws. As it stands, legislation seems to suggest that women are permitted to avail of abortion procedures in Ireland if the continuation of the pregnancy poses a risk to the woman’s life. However, the report states that “Human Rights Watch was unable to document a single case of a legal abortion being performed in Ireland and it is clear from our interviews with doctors and medical professionals that many women who are legally entitled to access abortion services in Ireland cannot do so. This situation is not in compliance with international law.” These women are forced to undertake the procedure abroad due to a lack of clear information on the circumstances under which they are legally permitted to obtain an abortion in Ireland, and the fear among medical professionals this uncertainty breeds. There is also great concern brewing over ‘rouge agencies’ that masquerade as crisis pregnancy services, while instead merely peddling lies in order to scare women into continuing an unwanted pregnancy. A quick glance through the Youth Defence website, for instance, turns up false assertions that women who have abortions run the risk of developing ‘Post Abortion Syndrome’, have an inflated risk of cancer, and may become infertile. Similar organisations pretend to offer abortion information, before subjecting visitors to manipulative psychological attacks. The government needs to regulate information providers so that individuals facing a crisis pregnancy do not have to cope with the added stress of condemnation and misinformation. Sinead Ahern, spokesperson for Choice Ireland, tells us that “it is time to face up to the reality that Irish women will go to desperate lengths and take huge risks to end pregnancies they feel they cannot continue. It is time to stop turning our backs on these women.” This discovery has made tangible all the inequalities we should have been shouting about for years. Now’s the time to pay heed and make the changes necessary in order to respect the wellbeing and autonomy of these women.